For the Banksia Road site (former rifle range), a significant factor to the Mining Lease approval in 2012 by then Minister for Mines Norman Moore, was that “the presence of lead contamination in the top soil means the site needs remediation to reduce the future effects of heavy metals“. 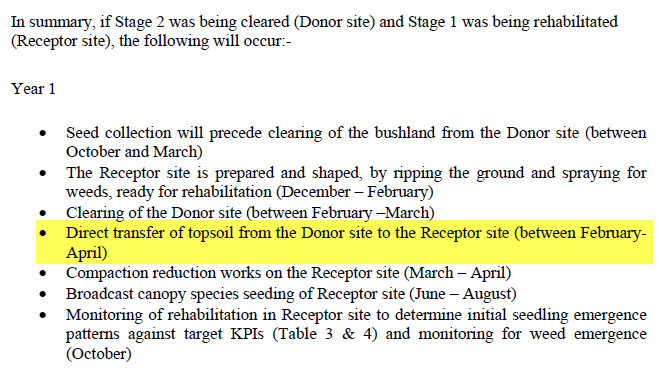 At first this sounds reasonable, until diving deeper it is apparent a small and predominantly cleared area is used to justify the clearing of a larger uncontaminated area of pristine Banksia Woodland. The Sporting Shooters Association leased the site from 1974 to 1994/95. Now in 2018, over 23 years later, water quality testing of the groundwater bore has identified no groundwater lead contamination. The risk of groundwater contamination is less significant than once thought, as verified by the Council’s own Environmental Health Department. 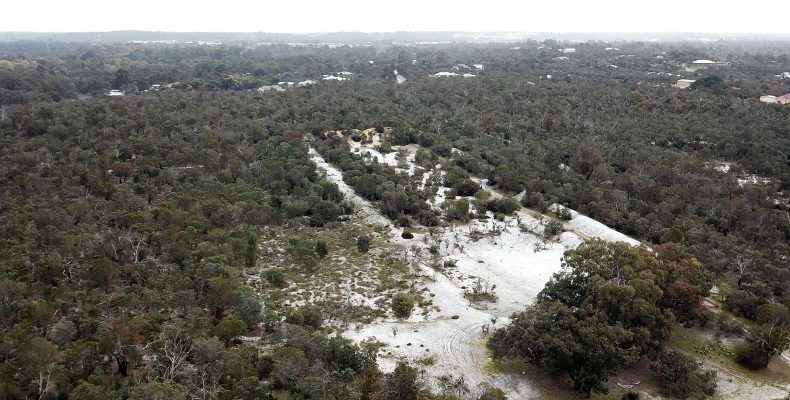 The Local community believes The Banksia Road Conservation Reserve holds greater environmental and social value in its current undisturbed state than it would if used as a public recreational open space. The reserve is currently fenced which helps preserve the excellent condition of the endangered Banksia woodland contained within. The fence also helps prevent environmental vandalism, illegal dumping, and provides a necessary sanctuary for endangered species which is so important given the current rates of decline of both flora and fauna. Hanson’s claims they will rehabilitate the site to enable public recreation are unfounded as Hanson have not engaged the community in any capacity to determine their preferred land use. Non-existent community consultation has been raised in separate submissions by the CWPA to the Department of Mines and Petroleum. As the lead contamination is localised to two areas of the conservation reserve, clearing of the entire reserve is not required to remediate the lead. There has been insufficient delineation to determine the exact areas of lead contamination, such that the total area contaminated has been exaggerated in pursuit of the mining approval. The green area below represents excellent to very good condition Banksia Woodland, untouched since European settlement and must be preserved. Remediation of the site, as evidenced by the City’s current monitoring data, is not required as the lead at the site is not mobile. The proposed remediation methods indicated in the Mining Proposal effectively increase the number of pathways that would enable a receptor to be impacted by lead from the site. Dust suppression methods proposed contradict the recommended controls stated in the dieback management plans and are ignorant of the increased risk of mobilisation of lead oxidation products resulting from controlling dust during screening works with water. In summary, the proposed open mining operations and the ongoing disturbance of top soil through sand extraction, stockpiling and onsite screening increases the spread of lead contamination and its impacts to the surrounding environment and residents. Onsite screening (as proposed) is a particular concern as it will break-down the lead and increase its mobility in the air and groundwater. Airborne lead risks contaminating primary water supplies as house and shed roofs are used for drinking water catchment. It is very possible settling toxic dust could contaminate primary water sources. If that isn’t enough, the use of water for dust suppression will transfer soluble lead to the groundwater table impacting the natural environment including residents’ bores. These detrimental health risks will exist for the entire life of the mining operation, prolonging the exposure duration to all surrounding residents. On the 25th of November the Murdoch Branch of the Wildflower Society WA and Stop the Banksia Road Sand Mines campaign collaborated for a guided walk of the special Banksia Road Conservation Reserve. It wasn’t without resistance, an individual with a vested interest in the mine going ahead ($$$) attempted to stop the Wildflower Society from continuing the walk and to prevent publicity against the sand mines, citing lead contamination concerns. 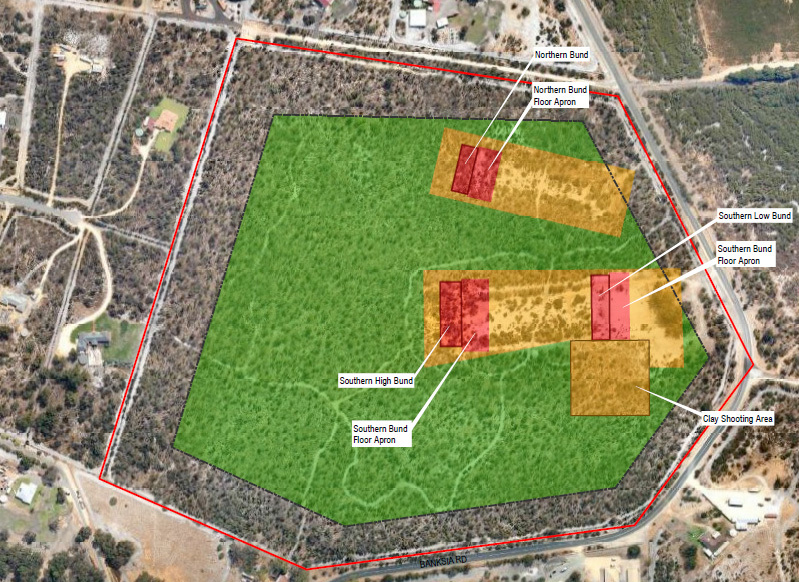 A detailed Risk Assessment was undertaken by the City of Kwinana and Campaign Action Group regarding supposed lead contamination and more importantly two controlled areas of dieback. A decontamination (boot cleaning) station was established at the entry and exit point, and a pre-walk briefing advised walkers not to eat the sand. Following the walk all were astounded at the quality of Banksia Woodland, lack of weeds and biodiversity at this site. Elementary Lead does not dissolve in water under normal conditions. Lead weathering occurs when Bullets “come in contact” with the soil. Weathering products depend on the soil properties at the location where the Bullets may lie. High Calcium Carbonate levels as well as Iron, Aluminium and Phosphorous will favour the immobilization of the Lead. The Lead will remain In-situ and not harm the environment or contaminate the groundwater supply. Bassendean Sand as defined by Playford and Low (1972) is present over much of the Perth Region and beneath this is what is called “Coffee Rock” Limonite-cemented sand. This contains Calcium Carbonate. The Lead will lie stable in this environment. Also Calcium Carbonate is found all over the coastal plain in the form of limestone scattered throughout the sands. If the Lead were to be disturbed by mining, this may have the potential to disrupt and further migration of the Lead may be possible. By extracting the Lead as previously suggested by sieving/screening out the Lead, it has the potential of breaking down the lead and it’s weathering products into small particles which may then become air borne. Or if water mitigation is used as a form of dust suppression, an additional pathway is then provided for the soluble Lead particles to enter the groundwater. Tiny particles offer a greater opportunity for the lead to be acted upon by ingestion and inhalation. Prevailing winds may blow these particles onto immediate areas such as the roofs of adjoining properties, that are used as catchment for drinking water. This may then create greater problems than just leaving the lead alone where it lies. In the Sand Mining Proposal it also states “Rocla will screen the topsoil for lead“, breaking down the lead and it’s weathering products into small particles which may then become air borne, as previously described in the technical explanation. 11. All topsoil and vegetation being removed ahead of all mining operations and being stockpiled appropriately for later respreading or immediately respread as rehabilitation progresses. This further exacerbates the community’s concerns as not even the Department of Mines and Petroleum (DMP) truly understand the issue at hand to include generic conditions that risk the health of surrounding residents including their environment. Exacerbation of Lead is being used by those with a financial interest in the sand mine going ahead, alternative solutions to remediate the top soil exist that take in to account the communities and environments interests which have been ignored for over 20 years.